The 2016 election season was divisive. Disagreement is healthy in a democracy--it keeps us on our toes. But demonizing people whose opinions differ from our own is counter-productive. We should attempt to understand and learn from each other. I wrote about discussing the election results with our students HERE. To loosely quote President Obama in his farewell address, compromise is vital to our democracy. In his farewell address, President Washington famously warned against the divisiveness political parties would bring. The younger President Bush was hopeful for the future in his farewell address. I want to discuss three reasons that we should be hopeful going forward. 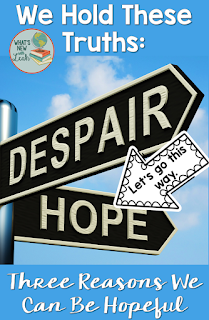 At the end of this post, I want to tell you about a TON of free resources that will help you communicate that hopefulness to your students. What do Albert Einstein, Natalie Portman, Ayn Rand, Andrew Carnegie, Van Morrison, Bob Marley, Joseph Pulitzer, Madeleine Albright, Irving Berlin, Eddie Van Halen, Isabelle Allende, Liz Claiborne, Bob Hope, Henry Kissinger, Sammy Sosa, Frank Capra, Charlie Chaplin, Iman, and Maria Sharapova all have in common? They have all enriched American culture and politics. And they are all immigrants. Fresh perspectives and diversity are part of what makes this nation great. We should never forget that, because to lose it would be a great tragedy. Or we try to be. Part of being fair is to try to understand different perspectives. Like it or not, we will have a new president on January 20, 2017, and he was fairly and freely elected. Yes, he didn't win the popular vote, but the Electoral College is not new. We the people are (or should be) familiar with its function. We can't do away with it legally after the fact and expect a post hoc change. It is our obligation as citizens to allow for the peaceful transition of power, hope for the best, and if we don't like the outcome, to protest with our vote. If we are kind, if we are strong, if we are creative, if we are citizens, then we need not fear for the state of our Union. I've heard hyperbolic comparisons of Donald Trump to fascist dictators of the past. And, yes, his own hyperbole and divisiveness lends credence to that argument. But the past doesn't ever repeat itself (ask Mark Twain if you don't believe me--it just rhymes). SO we may hear echos of Hitler's promise to make Germany a great nation again or to blame a particular group for all our country's woes in Trump's rhetoric. But the situation of the United States that Trump has inherited is far different from the the unstable situation of Weimar Germany. The Weimar Republic was new, shaky, weak, and untested. Our Constitution has stood the test of time. Our system is stable. That's not to say that we shouldn't guard it. We should. And if we participate in the political process, we do. I believe that the majority of us hold these truths near and dear to our hearts. I believe in the power of the people and our ultimate desire for kindness and fairness. I believe, not in telling my students what to believe, but in educating them about their responsibilities as citizens of this nation that I am proud to call my own. Many other teachers share these values, and we have posted free products all across Teachers Pay Teachers that will help teachers educate students on principles of citizenship and kindness. 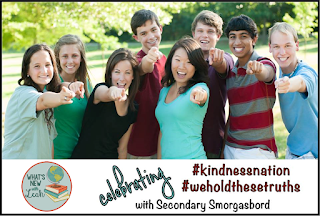 Go to Teachers Pay Teachers and enter the hashtags #weholdthesetruths and/or #kindnessnation in the search engine. You will find many free resources ready to use in your classroom. My free resource is a Color-Fill Film Guide for President Obama's Farewell Address. 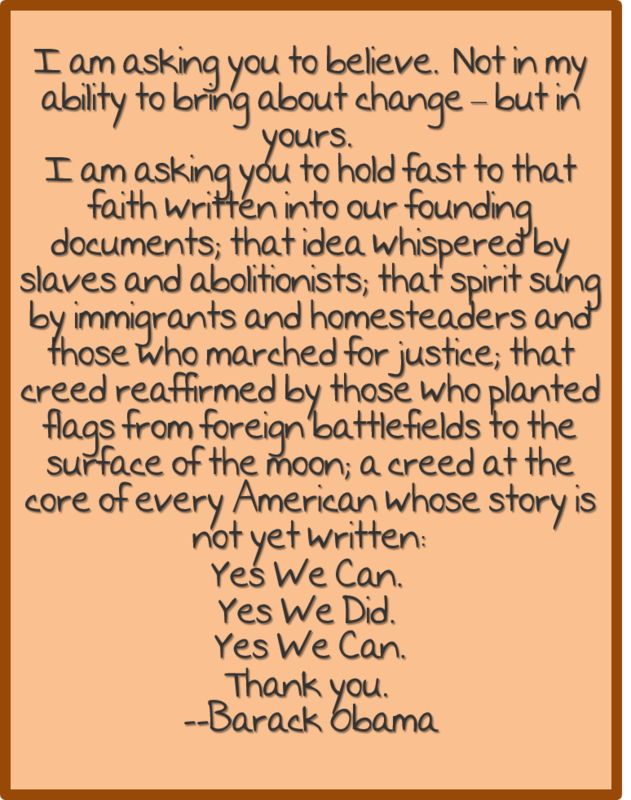 It asks students to view and consider important points of President Obama's farewell address and then to look at the history of the presidential farewell address. This will demonstrate to students that the presidency is an enduring office and that the end of our democratic-republic is surely not imminent because of one man or one event. And be sure to click on all of the links below to grab other secondary teachers' free resources and to read their posts. 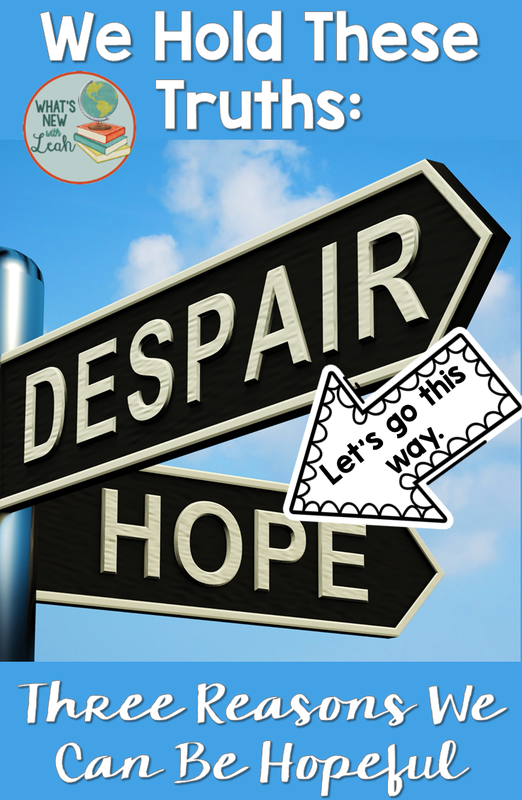 Thanks so much to Desktop Learning Adventures and ELA Buffet for organizing this blog hop. Love your optimism! And such a great idea to help students find that in others. I love your free activity. Thank you so much for sharing this with our fellow teachers during this spectacular #kindnessnation event! Hope and a positive attitude will always keep us moving forward. Thanks for sharing! I could not agree more--Thanks so much! Leah - I love your new resources that include doodles. So visual and engaging! I love the message of hope:) Great job and thank you for sharing. Thanks so much, Danielle! Your sketch notes are gorgeous! What a great resource. Students will learn and they get too draw at the same time. I love interdisciplinary activities. I love that this resource is so current and highly relevant and that it also hits speaking and listening standards. Very creative! Thank you, Leah! Wonderful to read your hopeful message! There has been so much vitriol lately. I can't wait until Obama's speeches become classic texts for us to teach in high school! I love the message of hope! We all need that no matter what as life can be full of various disappointments. If we can model that for our students they will be better for it! Great post! I love your first point about diversity and all the famous people who were immigrants. Your Color-Fill Guide to Obama's Farewell Address is amazing! Leah, I LOVE this resource! I haven't had a chance to talk about the farewell speech yet, and this will give me the perfect way to do so! Thank you! This post stirred my heart! Thanks so much for sharing. 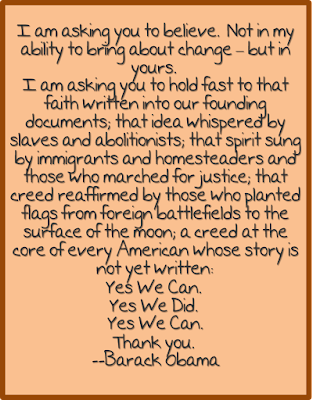 <3 Great freebie for American social studies teachers, and maybe even ELA teachers discussing public speaking too! Your Doodle Film Guides are just beautiful,Leah! Thank you.